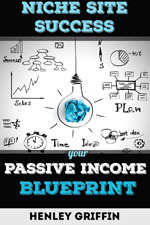 Let me share my blueprint for making niche site so that you can earn $1000 or more each month! With niche websites, you can use affiliate marketing to start earning a nice passive income each month from your sites. In fact, I used my portfolio of niche sites to finance a 10-month trip around the world. This book is designed for BEGINNERS who are looking for direction on how to get started with affiliate marketing and niche websites. 4. You don’t mind a little hard work – because that what it takes to get going at first! 5. You want to be able to earn money while sleeping, traveling, playing video games, etc. 6. You keep reading about how to make money online and are ready to take action TODAY! Niche websites can make you thousands of dollars each month. Don’t let this opportunity pass you by. Learn from someone who is actually making niche sites and earning from them right now. Buy your copy now to learn more!